The Fordham Summer Law Program gives students the option of taking one of two courses; International Human Rights Law and International Oil and Gas Law. I chose Oil and Gas because I figured everyone would choose Human Rights…and I was right. Most of the other American law students, as well as all of the Ghanaian law students from S&T (Kwame Nkrumah University of Science and Technology) are in the HR class while myself, 2 other American students are in oil and gas. Also in my class are 27 students from GIMPA (Ghana Institute of Management and Professional Administration). After 3 days of class I have come to learn a lot about my classmates and how they came to the program and I am so impressed. Apparently, they are the first class of GIMPA’s law school and are all part-time evening students. GIMPA has a rich tradition of being the training ground for many of Ghana’s civil services and so they wanted to add to their legacy and contribution by starting a law school. The current law school consists of about 30 students whose single classroom and law library fit into one bungalow which had been used as a faculty residence. While this may sound dire, do not cry for these students. In my class there is a newly elected member of Ghanaian Parliament, a Police Commander (who is a woman), a few CEOs, and the Director of Administration for Ghana’s first Broadcasting Station. All of the students used part of their paid leave from work to take this course with us. Ghana recently became and oil-producing nation so learning international oil and gas law puts the GIMPA students ahead of the curve. My classmates range in age from 30 to 60 years old and are all establish professionals doing really well for themselves. When I ask them all why they wanted to come to law school, especially so late in life, they all say variations of the same thing…basically to learn/try/do something new. GIMPA is in the process of building a new state of the art building for their law school which will include a more extensive library and a moot court room. 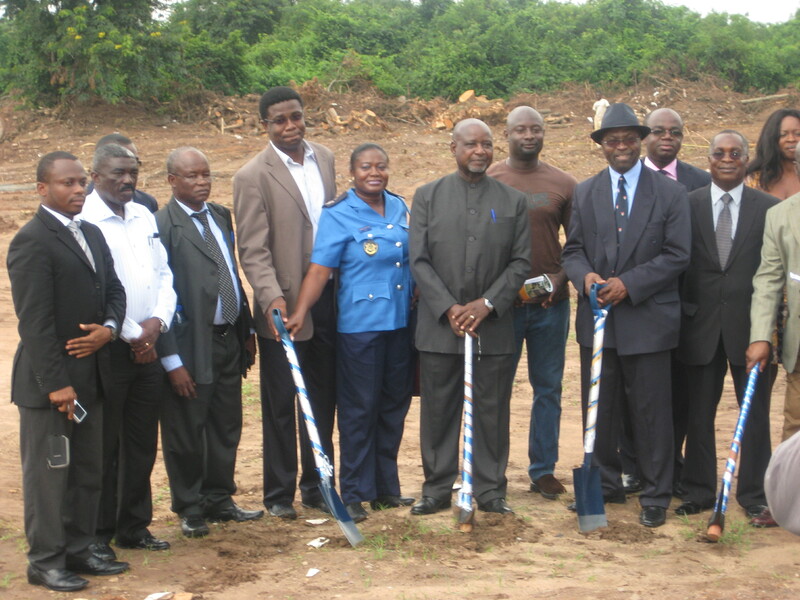 They invited us to their ground breaking ceremony for the new 2 million cedi (Ghanaian dollars) building. Being present, side-by-side with my new classmates who have all accomplished so much in their careers yet they still seek more with a legal education, was inspiring and reignited my reasons for going to law school. Ahhh love it! This inspired me. Thanks for sharing.